It was supposed to be a weekend in Paris, but, in true working mum style, i’d left it till the last minute to book tickets, and prices were extortionate! So, I needed a plan B. We needed a weekend away, and as it was in between our birthdays, and Father’s day weekend coming up, it was the perfect time. I thought about Bath, York, and Warwick; but I wanted somewhere that was easy to travel to, and enlisted a friend to help, who suggested the New Forest. I’d always heard about the New Forest, but had thought it was hours away! I was pleasantly surprised that it was only an hour and 45 minutes away – absolutely perfect! That meant it was perfect for the little mans nap time, and with travel time minimal, for just a weekend away. I started looking up the New Forest and had no clue where to stay. So, after searching for hotels, I opted for Lyndhurst, as that’s where the New Forest information centre was, and it was dubbed the ‘capital’. 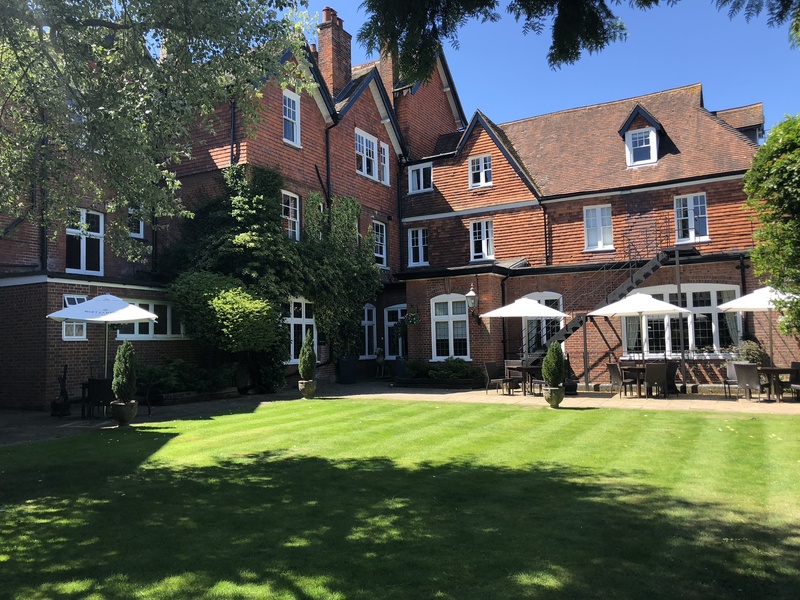 I booked the Crown Manor House Hotel for 2 nights. We opted for a family room as they were slightly bigger, and we were pleasantly surprised that there was a divide in the room so we could put the little man to sleep on one side, and we could still watch TV on the other. We booked direct with the hotel as that was the cheapest option, and it included breakfast. We are a family who love the outdoors, so the New Forest with its walks aplenty sounded perfect. But it definitely exceeded our expectations! It’s HUGE!! 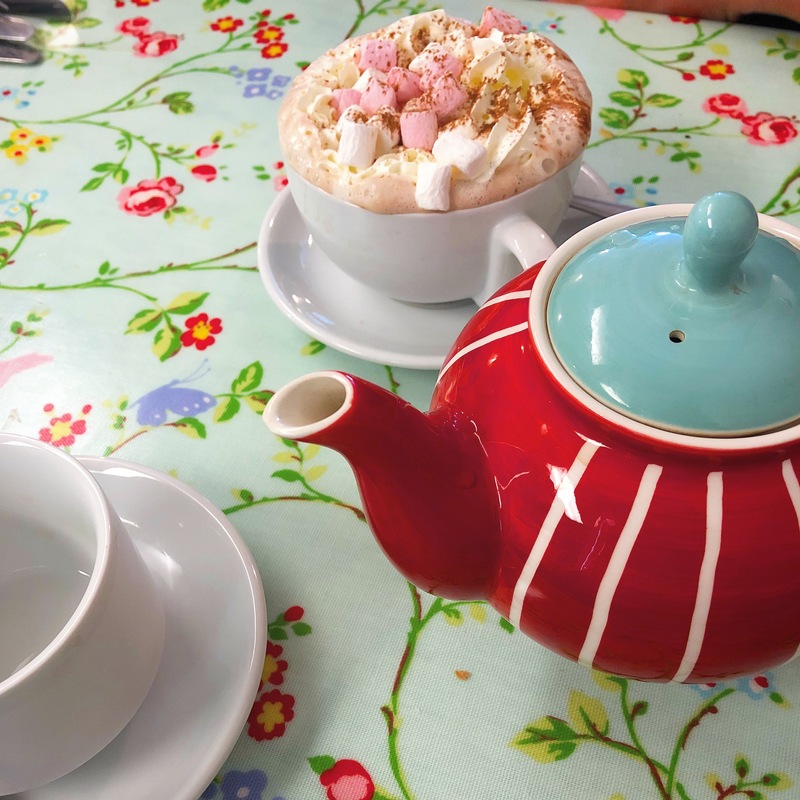 Lyndhurst high street has the most gorgeous coffee shops. One of our absolute faves was Peggy May’s where we had the most amazing high tea with the biggest sandwiches you have ever seen! It also had the cutest decor, and the staff were absolutely lovely. 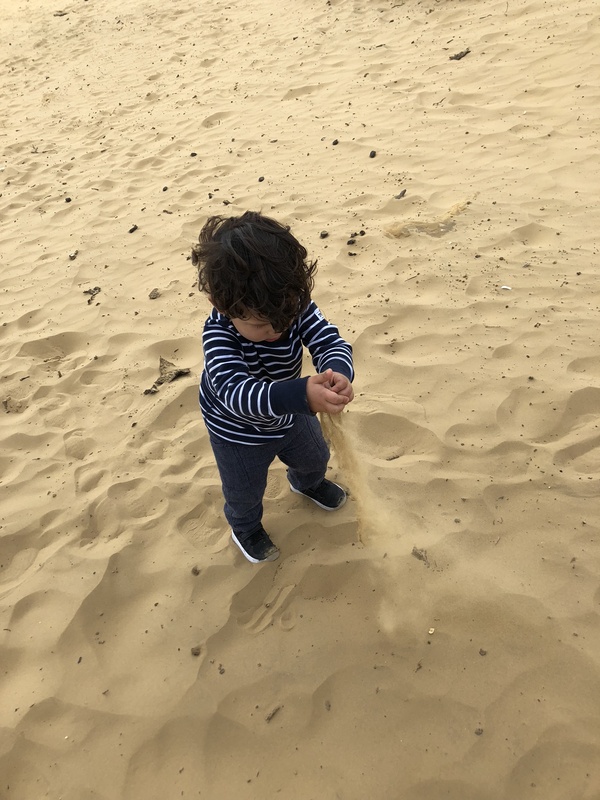 The little man was obsessed with the sand he came across, as it was the first time he had come across huge areas of dry sand aside from in a sand pit. He was fascinated by picking it up and letting it run through his fingers – it was the CUTEST thing! That night we stopped off for dinner and drinks at the Fox and Hounds on the high street which catered well for toddlers, providing paper and crayons to keep him entertained. For slightly older children they had a box of puzzles and books. Here’s a tip though – wherever you want to go for dinner on a Saturday night – BOOK! Everywhere gets booked up in advance at weekends. The next day we decided to go to Bolderwood to the deer viewing platform which was a short drive from Lyndhurst. The purpose built platform overlooks a large meadow, and we were lucky enough to spot some deer. From here we took a walk and an hour and a half later ended up at the beginning (yep, we got lost!). I just loved how many routes there were though, and it was rare that you would bump into other people. 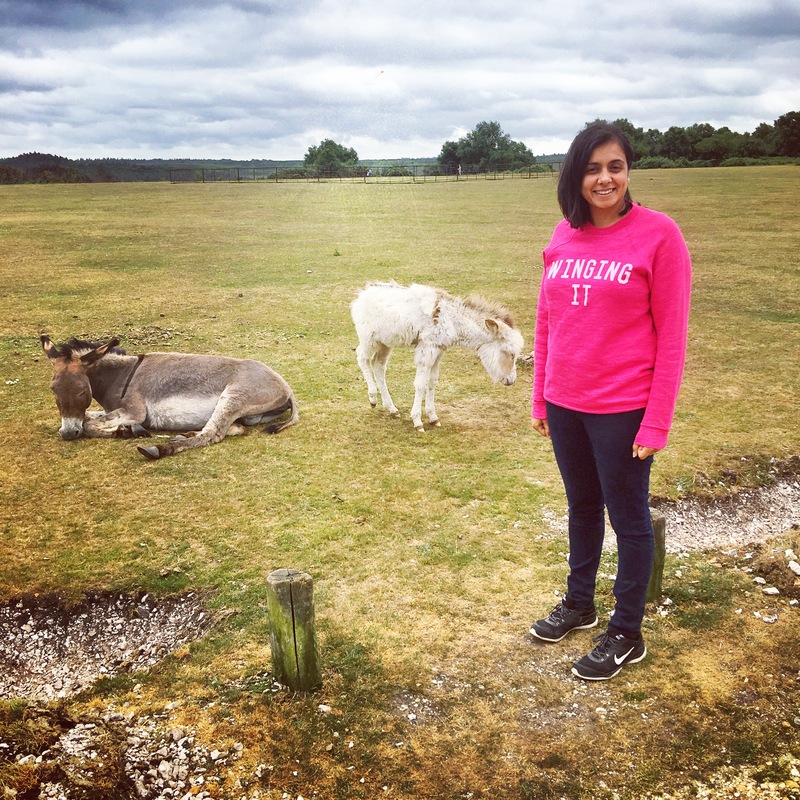 We decided to take a drive whilst the little man napped, and just followed the windy roads until we ended up as far out as Fordingbridge where I spotted the donkeys for the first time – just hanging out on the side of the road! I demanded my husband stopped the car so I could get out and be a true tourist! I’d never seen anything like it before – it was so lovely! And the donkey’s were so chilled out that they really didn’t care who was walking past them. This absolutely made my day! We have been to the Lake District, Wales, Devon etc, but never before had I just seen animals freely roaming around like this – especially not donkeys! The next day we explored Lyndhurst a little more and decided to back to the walk we had done on day 1, and boy was it different! As soon as we walked into the park, there were about 10-15 ponies all stood there waiting to greet us. All just hanging out by the side of the road. We then walked over the hill, to find the same number of cows just sat chilling out! And a few yards on were the donkeys. I couldn’t believe my eyes – and amongst it all were people just walking through with their dogs, with the animals not batting an eyelid. We sat in the sun in the middle of the cows and donkeys, and just took it all in. Boy was it different to what we see in London! I have to say, i’ll definitely be going back. 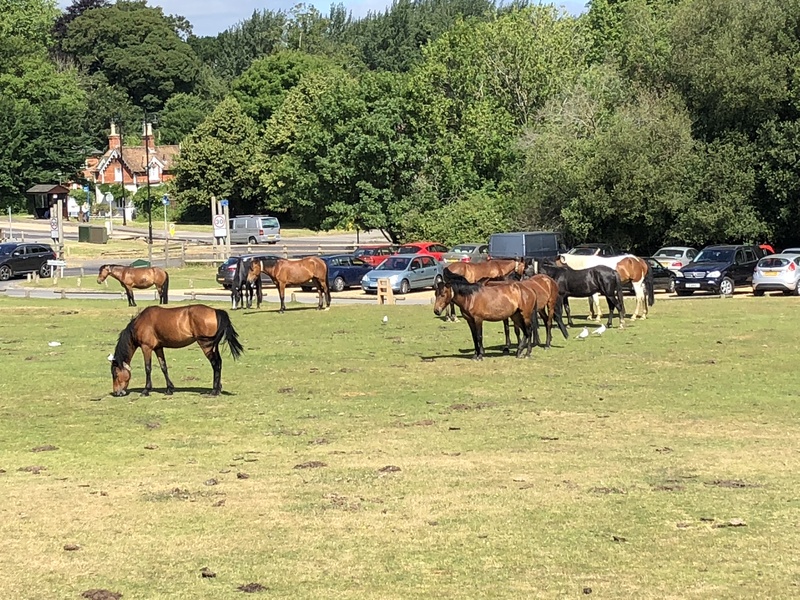 We love the countryside, and walks, but I think seeing the animals out and about amongst us all made the New Forest that so much more special. And, with it only being less than 2 hours from London, it would be rude not to go back! Have you been to the New Forest? Where would you recommend for our next visit? ← Working mums don’t work as hard? HA! Sounds fun! All these posts about vacation spots in the UK on Global Blogging make me die to go back on holiday there!